Integrated in the year 2010, in Pune (Maharashtra, India), we “Venkatesh Industries” are successfully ranked as the well known manufacturer and supplier of CO2 MIG Welding Wire. The offered wires are manufactured by our experts utilizing the finest quality copper and ultra-modern technology in tune with set international norms. 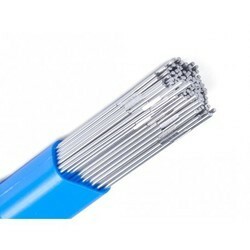 These wires are widely used in automobile, railway, bridges, ships, containers, construction machinery equipments and steel furniture & all other welding in general steel fabrications. 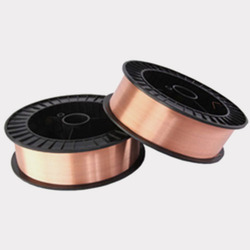 Due to their features like high tensile strength, easy installation, long life and flexibility, the offered wires are highly appreciated in the market. Our offered wires are inspected on predefined quality parameters in order to deliver excellent quality range at users' premises. Our on-time delivery and reasonable price structure make us the best choice of the customers. We always ensure high quality while delivering our product to our client end. Our offer products are available at very reasonable price in market. Moreover, our sound in-house designing unit is well equipped with technologically superior machines based on high-grade designing software in accordance with the emerging fashion trends. In addition, we have skilled personnel who are well experienced in their respective domains and always put in sincere efforts to develop innovative and appealing designs.